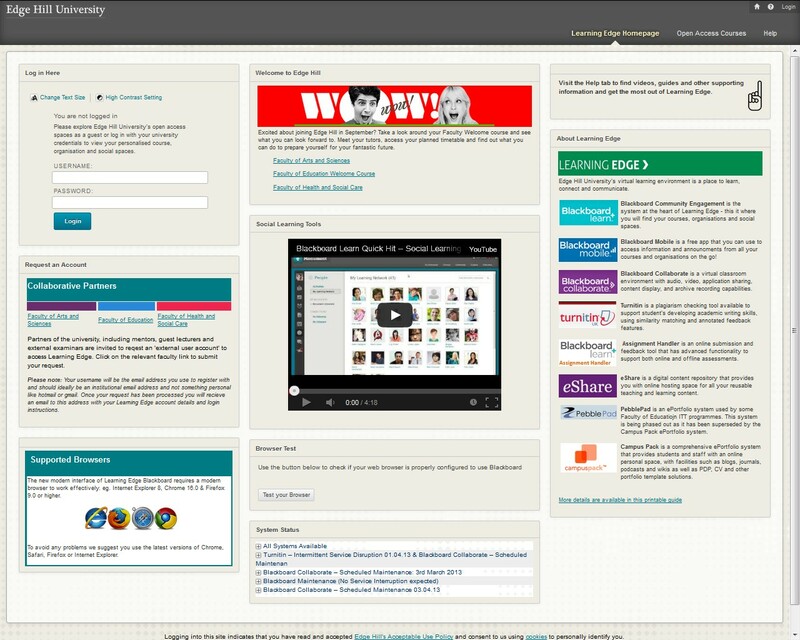 Following the recent acquisition (Oct 2013) of Blackboard Community Engagement, an add on to our current Blackboard Learn 9.1 platform, Learning Services will be working with staff across the university to improve the design and functionality of Learning Edge. This screencast showcases how the new features, which include personalised Tabs, Panels and Organisations, could be developed to enhance our Learning Edge facilities, for current and prospective students, staff, alumni and other guests. Click the image above to watch a 5 minute YouTube video tour. Learning Technology Development will be holding face-to-face and live online web-conference demonstrations over the next few weeks. In addition discussions will take place at Faculty TEL Steering Groups and the team hope to attend team meetings and speak with interested individuals about the potential of Community. If you would like to arrange a meeting to discuss how your department could benefit from these new Community features, please speak with your faculty Learning Technologist directly or email ltdsupport@edgehill.ac.uk. This entry was posted in Blackboard, Community Engagement, Learning Edge and tagged Blackboard 9.1, Community Engagement, Learning Edge by Megan Juss. Bookmark the permalink.